As Christians, we all face the temptation to make other things a greater priority than our own souls or the souls of our families. Sometimes we can get caught up in trying to be good employees, pastors, friends, or neighbors. Sometimes even serving others can get in the way. But it’s not selfish to spend some of your much-demanded time praying and caring for your own soul and those of your family members Jesus himself, while in ministry on earth, would regularly retreat from the crowds to spend time with his heavenly Father. In this post, we want to invite you into a monthly series of praying through biblical passages. God’s Word is one of the most powerful tools he gives us for approaching him and shaping our hearts after his. In the midst of hectic schedules and long to-do list, let’s not neglect this priority. Praying through the Bible allows God’s Word to shape how we pray and what we pray for. 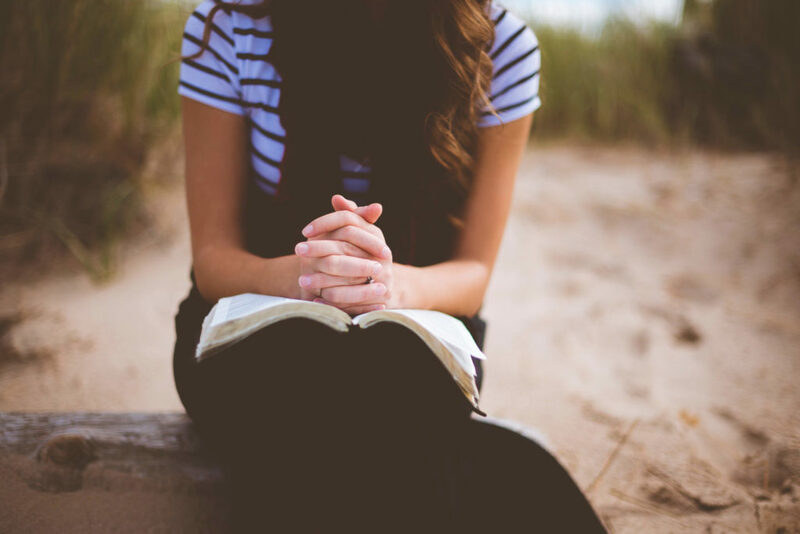 When we are praying from our own minds alone, our prayers will lean heavily towards our immediate worries, whether those be particular frustrations, political concerns, or personal holiness. Bringing those things before God is a wonderful way to address what’s on our heart and ask for his help—but if we only pray for those things, our priorities in our prayers may be miles away from God’s. If I am praying each week for the health of my church but never for the health of my own marriage, my heart is only reflecting a part of what God cares about. If I am thanking God each week for his mercy but never worshipping him for his justice, I am not appreciating the full glory of God. Praying through Scripture helps us to pray about the things on God’s heart, not just about the things on our immediate radar. What Does Praying through Scripture Look Like? Praying passages of Scripture will look different for each believer. You may find it helpful to read the passages out loud to be a practical reminder that you really are addressing a God who listens. Or you may prefer to write out passages of Scripture or to pray through them while on a walk or run. One classic strategy is to follow the three R’s: Rejoice, Repent, Request. First, search the passage for things that are true about God. Worship him and thank him for those things. Then repent of the sins that this passage shows you in your own life. Confess your sins and ask for God’s forgiveness. Then ask God for other needs that this passage shows you—both spiritual provision (grace, patience, humility, etc) and practical provision (healing, guidance, financial provision, etc). Why One Passage Each Month? True, you could pray through different Scriptures every morning. In fact, we encourage you do that as you read the Bible in your daily devotions. But there are also powerful benefits to taking an extended time to soak in one passage. Repetition is one of the most common devices for emphasis on the Bible. It tells us, “Listen! This is too important for you to miss.” It helps us to soak up the truth, to savor it from multiple angles or through different experiences. Psalm 136 dramatically demonstrates this, repeating a single line 26 times. The refrain “his faithful love endures forever” becomes the driving drumbeat of this song, as consistent as the sun rising or clock hands turning. This refrain returns and returns in the second half of every verse, reflecting the same enduring faithfulness it describes. Think of how that refrain can change its meaning as you read it in light of the different lines that come before it: worship at God’s glory, praise for his power in creation, testimony of his preservation of Israel, gratitude for his provision for his creatures. By the end of the psalm, that single truth scintillates with the glory of God from 26 different angles. In the same way, when we return to the same passage every day, we view it through different experiences. There will be days when we’re praying a psalm of praise, and our hearts are singing along with it. But a week later, we may be praying that psalm through tears, asking God to restore to us the joy of his salvation and holding on in faith to his enduring faithfulness. Returning to the same passage day after day helps us see different truths or understand the same truths more profoundly. As we return to one passage morning after morning, it also begins to shape how we pray. It draws our attention to God’s priorities in that passage and holds it there long enough to shape us. Through drawing us again and again to those truths, God can mold our hearts after his heart as revealed in that passage. It is our hope that your heart will be shaped and refreshed as you focus on praying the Bible for yourself and your family, helping you to pray with a deeper faith and a richer appreciation for who God is and all that he’s doing. Stay tuned later this week as we kick of this monthly series with Psalm 51. Learn more about the Christian Standard Bible or read it for free online.